Watch the participant review, Learn mandarin under our intensive chinese language program arrangements. We combine classroom lessons, language partner and cultural trips to help you grab the language within the shortest possible time. Learn Chinese in China Program is designed to ensure you start speaking Mandarin within weeks. Are you considering learning intensive Chinese language? Are you considering joining an intensive Chinese Language Program alone, in a group or with your family? Do you want to combine language study with internships? Are you looking to upgrade your Chinese with the Best Course? But are you looking at doing all that with very flexible, yet rather intensive arrangements? If the answers are, yes, then this is the right program for you! CIP’s Intensive learn Chinese in China Program is designed with the help of our language experts. We combine the best teaching methods to make Chinese language learning easy for you. How be it, the flavor, experience, and the pace is so professional and easy. It varies from private tutoring and one-on-one to small group environment. Just as these programs feel different, they could be combined to make a perfect combination! Imagine learning Chinese in China while exploring the local culture and environment with participants drawn from all over the world! Now, partner that with the best Specialized Chinese Language schools and Institutions licensed by the Chinese government to teach foreigners, and you will have one awesome recipe for bilingual success! Our group Chinese language Courses and Study Abroad lessons ensure participants Study the Chinese Language at an accelerated level while encountering Chinese culture immersion every day. Learning Chinese in China, you will combine classroom lessons with street conversations as well as trips. Explore China like a local. Lessons place participants in engaging Chinese language Courses with professional language tutors while daily encounters pose real-life situations to develop Chinese Language Speaking skills and confidence. Our Chinese Language courses are designed and structured with a modern approach. The curriculum structure was developed by language experts and university tutors. Participants looking to learn Chinese in China are either individuals, families, interns or Chinese language participants who are taking Chinese lesson as a major course, either for the first time or as an upgrade. There exist classes for all levels: Basic, Elementary, Intermediate, Upper Intermediate and Advanced. Participants who also would like to take Chinese HSK, we have specially arranged classes which speed mastery so they could pass with distinction. These programs are also organized for groups who would like to come to China with a personalized itinerary with Cultural trips and much more. It involves 20 hours of standard study and 30 hours of intensive study, arranged in a very conducive atmosphere, and with state of the art/well-equipped classrooms. We have a dedicated staff in charge of arranging group classes. The Chinese Language Lessons are arranged in small groups and are made to be very interactive, ensuring learning is fun yet effective! Learning Chinese Mandrin on our program, We remain committed to ensuring you speak Chinese within the shortest possible time. Participants are assessed rigorously to ascertain their Chinese level and are placed into an appropriate class. Studying Chinese Language should not be rudimentary and strict, but varied and with a plethora of teaching methods to make the study come alive for participants. Learning Mandarin in China is not difficult at all rather, the teaching methods could make it easy. Our Chinese Language Courses in Beijing and Shanghai are up-to-date Language learning is evolving, and what helps guaranty quality. China Internship Placements’ Private Chinese language Study Program is designed and customized to the participant’s requirements and needs duly considered. Its main advantage is the flexibility aspect which allows participants to study the Chinese Language as they desire. It is usually preferred by busy Business Executives, Interns, and Individuals who have very erratic schedules, and provides that classes could be rescheduled if needed. 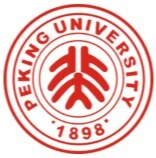 It is taught by tutors from reputable Chinese Universities experienced with more than 5 years of teaching Chinese language as a second International Language. They are Chinese natives properly trained in the field. Proper assessment is made for starting participants off at a level corresponding with their current fluency in Chinese. Teaching materials are provided by China Internship Placements at no extra cost. On the first day of class, the expectations of the participant are exploited by the Tutors and class scheduled to fit these requirements. The expectation of our participants is the prime standard, as well as other established professional processes of language study. After all, value for the money to our Participants is what we strive for! Classes could be arranged at the convenience of participants either in their private accommodation, in our professional classrooms, or through the use of other venues as agreed between the tutor and the participant. Our role is to make sure that whatever venue is selected, quality is not compromised. One on One Private Chinese Language learning arrangements. Classes are available for all manner of participants from Basic beginners to advanced and proficient participants. Remember we know that not all participants are created equally. Professionally customized Chinese Study curriculum structure. This program includes Travels, excursions, and trips to fascinating tourist sites. The Intensive Chinese language is a combination of Group (4 hours per day) and Private lessons (2 hours per day) by taking private and group lessons of 6 hours. No matter the combination, applicants should take 6 hours of lessons per day. Our programs are effectively combined with a couple of language study options which have been proven to work over the years. Our participants are allocated Language Study partners that facilitate practice. Our accommodation options also give participants opportunity to practice the Chinese language in a real and practical situation at home and/or on the job during internships. China Internship Placement keeps innovating, researching and identifying the best ways of learning Chinese language. Chinese Mandarin Study just like any language should never occurs in the vacuum. Language must be learned in perspective. Among other hands-on, language learning activities, our participants are taken to places with real-life situations and are asked to communicate and have fun practicing. This has proven to be very efficient and effective! Assessments are made on the spot and corrections made in a natural, light-hearted, yet effective manner. Participants are pushed beyond the boundaries to making speeches during seminars and events. Preparations are made together with tutors. These are real experiences that put participants on the spot to dig out the language genius skills in them. Our Summer Programs in China is targeted at the young, curious or any individual between the ages of 13-50 years willing to learn Chinese language. High School Students who join our summer Programs get the opportunity to intern in the future at a subsidized rate! These programs are also available in Winter/ Spring / and fall. Submit your applications early. Don’t hesitate to come and witness China’s development in action. Don’t be left out this and any other summer. Summer Internship program in Shanghai, Beijing, Shenzhen and Nanjing will build your business knowledge from a global perspective. Where will you study? if you decide to study within a university environment, CIP hosts the University Mandarin Programs and study abroad programs in China’s topmost universities. These are degree structured curriculum. Our programs come with a diverse participation base of: Individuals, Experts, Students & Young Graduates and also, Business people from all over the world. This presents serious environments for dialogue and networking.Pursuing cultural immersion programs in China does not only speed your Chinese language proficiency skills, but also grants an opportunity to Know China better. China Internship Placements (CIP) organizes excursions and trips to very insightful places like the Great Wall of China, The summer palace (read more about our Excursions and Trips), and more. China Internship Program organizes pre-departure orientations online before arrival. During this segment, participants are briefed properly about the essential highlights of the program, weather conditions, as well as being disclosed with as many red flags as we deem helpful for them to watch out for before arriving in China. The online meeting allows that participants to connect with each other in order to make friends before their arrival. We encourage, that participants share their expectations with one other! The Webmaster will also create a forum thread on our ever-active China Internship Placements Forum, where more interactions take place. We also prepare students psychologically to face the realities of a different culture, and also make available some ‘survival’ Chinese language lessons. We provide very supportive packages for our participants starting from application through to arrangements, departure and arrival, and to the end of the Chinese Language Study Program in China. These services include visa support & documentations, 24/7 hour staff contact and emergency response, and a range of other essential services. Because the courses can be demanding, we make sure to include as many components as possible to aid comfort and peace of mind, and to help our participants be able to concentrate on their Studies while we sort out every arrangement. For more information, please click on our Program Content page for more details. We arrange varying Professional Business and Networking Events for our students to participate in. These events are organized by our partner Big International Event Management Firms, who bring together Expats, Diplomats, Successful Foreign Entrepreneurs in China and The Chinese Business Community. This presents a golden opportunity for our participants to socialize and meet industry experts. Participants could also meet Business Incubator Organizers that guide startup plans till they see reality. China Internship Placements also organizes a couple of activities such as fun and cultural activities where participants learn intricate Chinese cultural practices, such as: Kungfu classes, Yoga, KTV, Calligraphy Practice, Painting, Tai Chi, Martial Arts, and Chinese Cuisine Lessons. Navigate to our Cultural Activities page for full details. Guided trips and excursions are used to brief participants about the Chinese History and the trajectory of Chinese development. This presents history in perspective. Some of these trips are organized to the Forbidden City, The Great Wall, Summer Palace etc. At China Internship placements, there exist numerous opportunities to study the Chinese language in China, combined with out-of-class activities to make lessons come alive for participants. Have a brief look at our Business Seminars page and Cultural Activities page for details. All accommodations adhere to our standards and regulations, guaranteeing safety, security, and peace of mind. There is no fear to be entertained as we remain responsible for changing accommodations in case our participants are not satisfied. Pictures and addresses of accommodations are sent to participants for approval before a final contract is signed. We get host Families to sign our Statement of Liability as well as Accommodation Privacy Assurance, before apartments are booked. Grab this opportunity to live with native Chinese families under the same roof. Get culturally immersed into the Chinese culture as well as get networked with awesome Chinese families, many of whom are eager to invite you for a visit to China whenever you deem fit. These Families are well-to-do Chinese Host Families that have met our rigorous accommodation standards and have hosted successfully our participants in the past. They maintain a clean and safe environment for human inhabitance. As Chinese family members communicate in the Chinese language, it is an opportunity to accelerate Chinese speaking skills over a shorter duration. CIP recommends this option for participants that would like to live in a Chinese language setting and are willing to speed up their speaking and listening skills through FULL ‘accommodation immersion’. The Host Families lead the immersion process, while CIP also arranges activities to top up the process. It is a complete system to make it a summer to remember. Read more on our Accommodation page. Shared apartments are also a very fine opportunity to get along with the Chinese and get immersed into the local culture. It is a two bedroom facility which our participants share with other young Chinese. Both residents share all facilities, but privacy is guaranteed in the strictest sense. This is in a bid to keep our participants still connected to native Chinese. There have been countless occasions when this friendship results in a great business relationship as well. In case participants arrive and do not like the apartments, we are able to make changes for them. These accommodation arrangements are located about 30 to 40 minutes from work and are assessable to bus stations and the subway. This is arranged for participants who do not really worry too much about ‘budget’ and would like to spend few more dollars to secure very posh apartments in the city. We provide this to satisfy our participants. These apartments are a bit more expensive than other options. These are located at premium parts of the city and closer to one’s location of study. Also, note that there are Hotel Accommodations in our Summer Programs available through our partner hotels which our participants can occupy depending on their budget size. From 3 star to 5-star hotels are available for booking. We also can provide accommodations in Youth Hostels.